When Fia Jennings loses her job at the local newspaper, she thinks she'll have the chance to bond with her teenage twins. 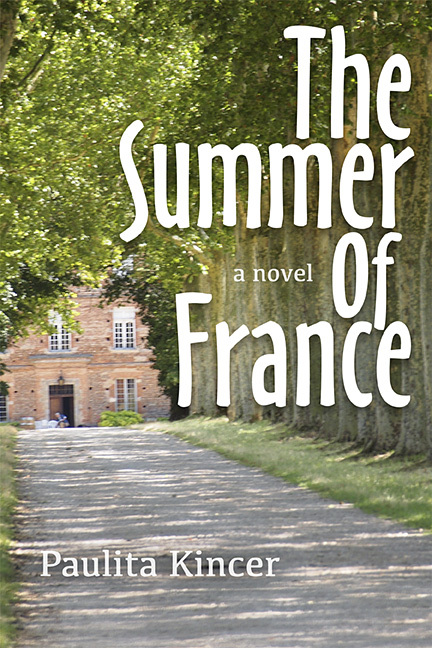 As she realizes she may be too late to create the perfect family, she's saved by a phone call from her great Uncle Martin who operates a bed and breakfast in Provence. Uncle Martin wants Fia to venture to France to run the B&B so he and his wife Lucie can travel. He doesn't tell Fia about the secret he hid in the house when he married Lucie after fighting in World War II, and he doesn't mention the people who are tapping his phone and following him, hoping to find the secret. The quiet of the house mocked me as I rummaged through the Sunday paper looking for the travel pages. I ignored the meticulously folded “Help Wanted” section of the newspaper and the yellow highlighter that my husband had placed on the counter to remind me that I’d been unemployed for two months and needed to find a job – soon. The ring of the kitchen phone saved me from isolation and from a job search as the thick accent of my aunt came across the crackly line inviting me to move to France. After a few sentences in the language that Aunt Lucie considered English, she handed the phone to my great uncle Martin, and I heard his booming voice. “Fia?” he called as if using a bullhorn rather than a telephone. Uncle Martin, the baby of my grandfather’s family, ventured overseas as a teenager to fight in World War II, found a French wife, and stayed. I’d never traveled to France to visit him, but Uncle Martin always came home for the family reunion at the beginning of summer. Hearing his voice on the phone, I glanced at the wall calendar, assuring myself it was late June and Uncle Martin’s visit had ended nearly two weeks before. “Uncle Martin! What a surprise. How’s life in France?” I asked in a quiet voice meant to encourage him to lower his volume. Uncle Martin continued to bellow. “Look, Fia, let me get right to the point.” He hadn’t lost his American directness. “Lucie and I are tired. “This place” is what Uncle Martin always called the eight-room bed and breakfast that he and Aunt Lucie ran in a small village in Provence. Lucie’s family had owned the home for generations, wringing olive oil from the trees and wine from the grape vines. But as big cities and ample education called, the younger branches of the family moved away. When Uncle Martin and Aunt Lucie found themselves the only ones living in the big, old house during the 1970s, they decided to capitalize on a tourism boom and turned the house into a bed and breakfast. They encouraged American and English tourists to stay, and, after A Year in Provence came out in 1990, their business exploded with people who wanted to see the land that Peter Mayle described. Thanks, Uncle Martin, for reminding me again of my current jobless status. When a huge conglomerate bought our local newspaper and combined resources with the paper in the next town, I became superfluous. So, after years of writing about home design, I sat staring at my own shoddy decorating. I tried to look on the bright side. Now I actually had time to try some of those design tips. To add depth to the alcove next to the fireplace, I painted it a darker color. Next I added crown molding around the opening from the living room to the dining room. They suggested we go out for pizza or visit a sporting goods store for new soccer cleats or swim goggles. I declined, picturing the credit card bills I juggled now that I didn’t have an income. Bills. Ooh! I couldn’t see Uncle Martin’s invitation to France winning approval from my husband, Grayson, who had just been complaining about money. As a two-income family, we had paid bills on time and planned our next extravagant purchase. Of course, my pragmatic husband, the almost accountant, never used credit cards. But with my own income, I wasn’t that concerned about using credit cards. When I started to run a balance, I made the minimum payment every month. No need to inform Grayson who would’ve disapproved of my indulgences. Not that I bought things for myself. Nothing but the best for our kids with their private swim clubs, technologically engineered swimsuits, travel soccer teams, and state-of-the-art skateboards. I hadn’t bothered to save for an emergency but spent and charged as I went along until the bottom dropped out of journalism. I sat stunned for a moment, so Uncle Martin repeated himself. My kids were always “the twins,” as if sharing a womb 14 years earlier made them one entity for the rest of their lives. Even as I said it, I felt hope rising in my chest. Yes! I waited for a job to come to me and it did. A spectacular opportunity. I pictured myself in a flowing skirt and low-heeled, leather sandals walking along a dusty road away from the market that would line the village streets. I’d carry a canvas bag with French bread jutting from the top as I headed home, the pungent fragrance of a cheese wafting from the bottom of the bag. Although I’d never been to France, I watched any sunny movie set in Europe. The women always wore skirts and had leisure time to linger along the roadside, smelling the lavender. I heard the front door slam and my husband’s heavy footfall in his casual Sunday topsiders as he came in from the office. Even on a Sunday, the work at Grayson’s accounting firm was plentiful. “You make the job sound so enticing,” I tried to laugh lightly so Grayson, who was drawing nearer, wouldn’t realize the importance of this conversation. The idea began to form in the back of my mind: We could make this happen -- with a little cooperation. I shot a hopeful glance toward Grayson as he walked in the room. I quickly raised my eyebrows twice, which I thought should give him an indication that good news was on the phone. He looked grim and tired – the horizontal line between his own eyebrows resembled a recently plowed furrow. “Look, I’ll have to call you back later,” I hissed into the phone and punched the button to hang up as Grayson threw his aluminum briefcase on the island. His look turned from grim to suspicious. I tried to sound nonchalant, but I guess my eagerness showed because Grayson dropped his head on top of his briefcase for just a minute before he stepped toward the cabinet over the refrigerator. He opened the door and pulled down a bottle of Scotch. This conversation might prove more difficult than I’d anticipated. 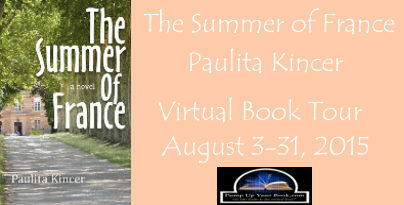 Paulita Kincer is the author of three novels, The Summer of France, I See London I See France, and Trail Mix. She has an M.A. in journalism from American University and has written for The Baltimore Sun, The St. Petersburg Times, The Tampa Tribune, and The Columbus Dispatch. 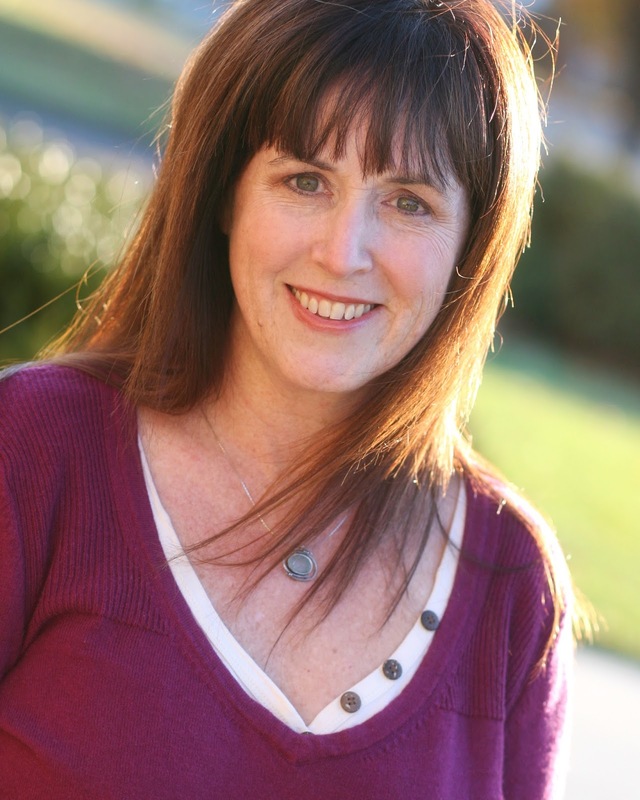 She currently teaches college English and lives in Columbus, Ohio, with her husband and three children. Thanks for featuring my first chapter.